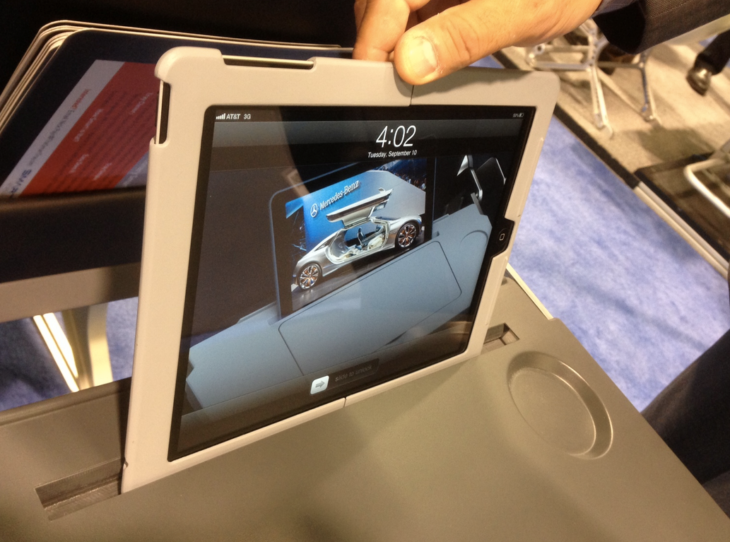 Are seatback screens becoming obsolete? American Airlines has decided to do without seatback video screens in its newest single-aisle planes, and it is betting that passengers won’t care. The carrier is due to take delivery of its first four next-generation 737 MAX aircraft this year – it has ordered a total of 100 – and they will come without the traditional seatback screens. 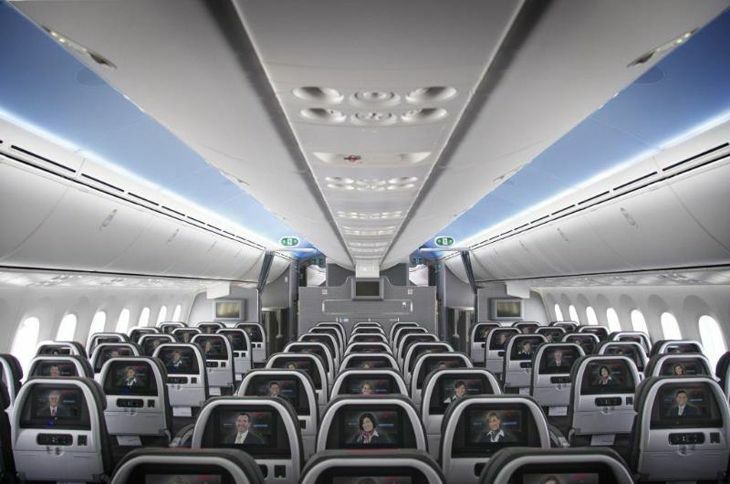 American will still offer the screens on wide-bodies used for international routes, for its three-class A321Ts used on lucrative transcontinental routes, and on some other single-aisle aircraft, including 40 A321s and other 737 models due for delivery this year. Instead of using seatback screens, passengers on the new 737 MAX planes will be able to see entertainment programming on their personal electronic devices, the airline said in a memo to employees. 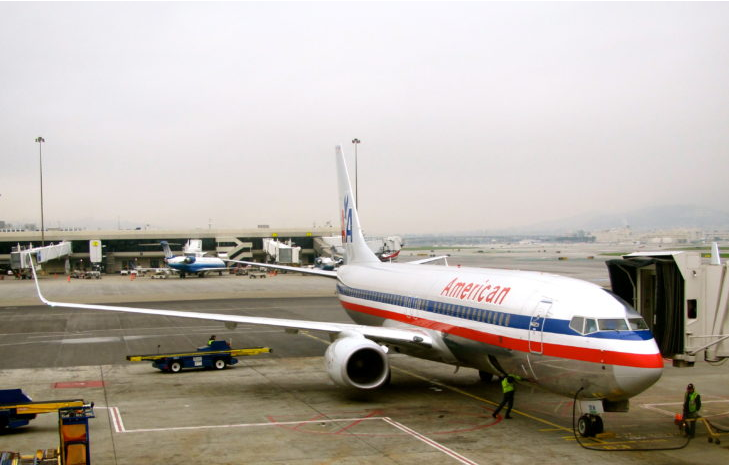 The carrier said more than 90 percent of AA passengers now bring along their own tablet, laptop or smartphone, and that passengers prefer to use those devices. The airline will allow passengers to access its collection of movies, TV programs and live TV at no charge. Satellite-based Wi-Fi links will be available for a fee, so that passengers can stream on-demand video entertainment from other providers. All of American’s new 737 MAX aircraft, and several hundred of its other domestic planes, will be getting new satellite-based Wi-Fi technology from ViaSat, the same vendor used by JetBlue. 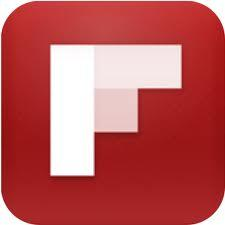 The new technology will permit much faster Wi-Fi for easy video streaming from sources like Netflix and Amazon. The ViaSat Wi-Fi should be on about half of AA’s single-aisle fleet by mid-2018. Other carriers seem to be taking the same approach; United’s new 737-900s rely on entertainment streaming without video screens, and Alaska also uses streaming-only in-flight entertainment, although on longer flights it offers rental tablets that are preloaded with movie and TV programming. Readers: Do you care if your domestic flight has a seatback screen as long as you can stream entertainment directly to your laptop or tablet at a reasonable speed? Airlines are out to surprise and delight frequent travelers these days, and this week we have two more examples of how. 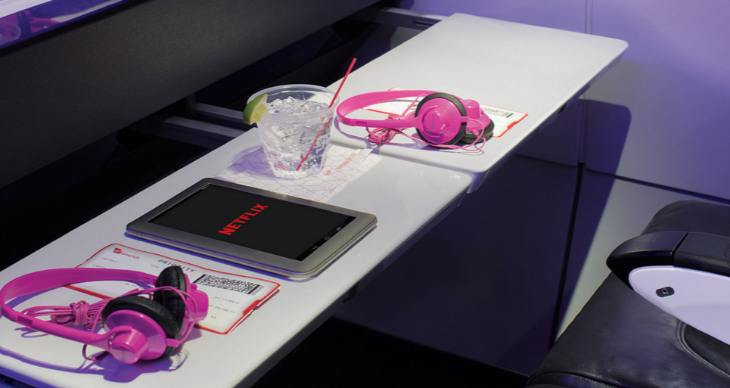 Free wi-fi: Starting today, those lucky enough to be flying on Virgin America’s newest Airbus A320 jets will get free wi-fi compliments of Netflix. 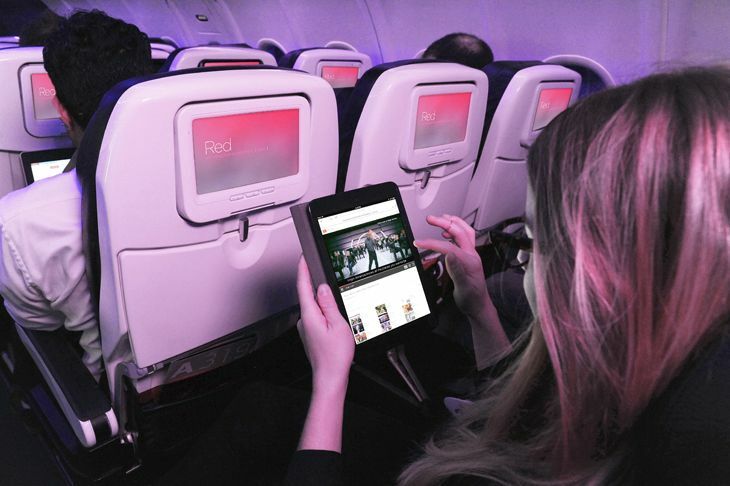 Now through mid-2016 Virgin has teamed up with Netflix to offer free wi-fi (and free streaming of content like House of Cards and Orange is the New Black) onboard its brand new jets outfitted with the new ViaSat system. Currently, there are only two of these shiny new A320s darting across the country, but Virgin will be deploying a new one every month through next June, for a total of 10. The free wi-fi deal is only available on the new A320s with ViaSat– if you are on a Gogo equipped plane, you’ll still have to pay. (But here’s How to save $$ on pricey inflight wi-fi.) Regrettably, there is currently no way to know if the plane you are on has ViaSat or Gogo until you board. 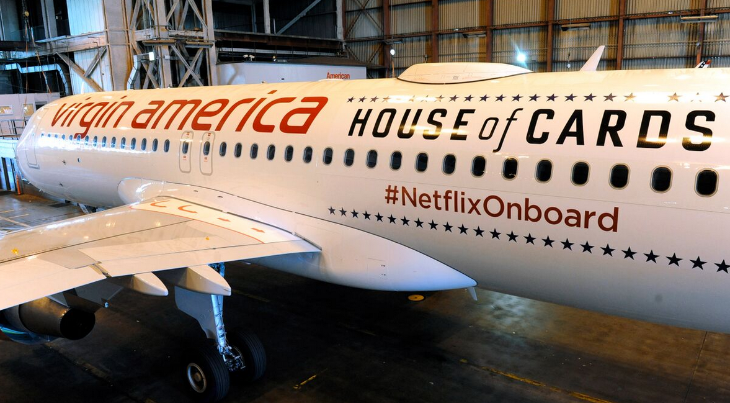 To kickoff the announcement, Virgin is unveiling a House of Cards and Netflix-branded aircraft (pictured above). Also, beginning next month, it will be offering House of Cards seasons 1-3 on all flights via its recently-upgraded Red entertainment system. To help kickoff the surprise unveiling of a House of Cards and Netflix-branded aircraft will be Michael Kelly, the Emmy-nominated star of the Netflix original series House of Cards. Kelly’s character Doug Stamper, who serves as President Frank Underwood’s loyal consultant and Machiavellian fixer, will drop in on Virgin America Flight 1 from San Francisco International Airport (SFO) to Washington Reagan National Airport (DCA). Guests onboard the flight will be able to binge-watch Netflix content in Virgin America’s mood-lit cabin and will be treated to a signature Whiskey Whistleblower cocktail, while Kelly – as Doug Stamper – dispenses some tongue-in-cheek, morally-ambiguous political advice over the aircraft’s intercom before take-off. Secret Upgrades. Last week a new plan to surprise and delight United’s best customers with “secret” upgrades was revealed in an employee memo. While United confirmed the existence of the program to TravelSkills, details such as criteria for selection remain sketchy. According the BrianSumers.com blog, United intends to upgrade certain “high value customers” to first class from coach on domestic flights, or to international first class from business class on a segment-by-segment basis. While most high value customers tend to score upgrades based on their status a few days before a flight, the new surprise and delight plan apparently notifies passengers a few weeks ahead of time. Have you been the recipient of a mysterious “secret” upgrade yet? 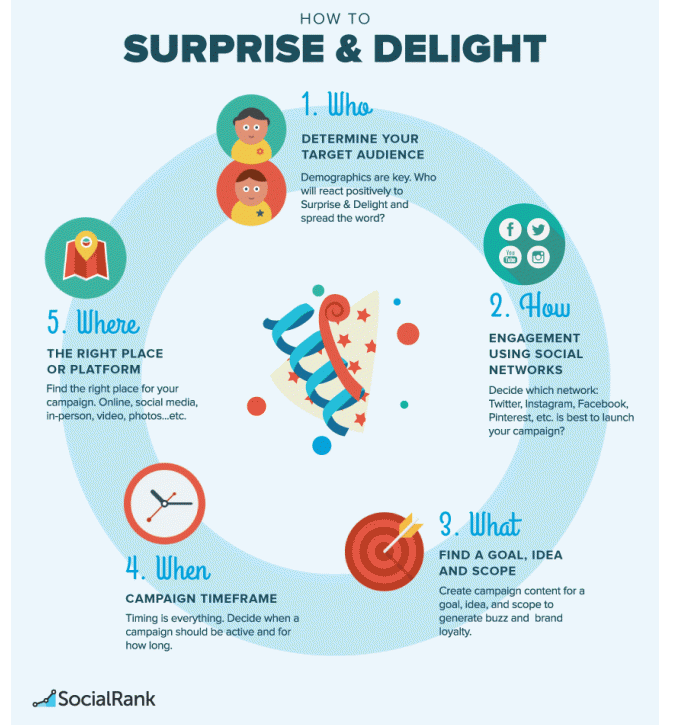 Were you surprised or delighted? Let us know! And finally, one more thing that will surprise and delight you: FREE COFFEE! Today only. 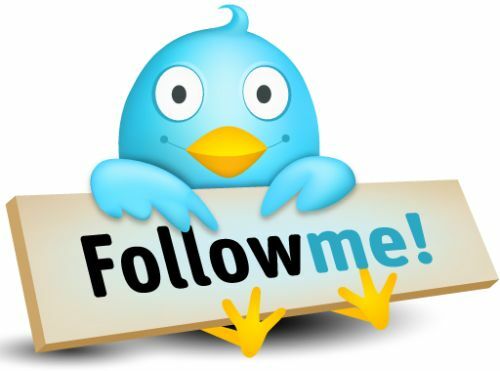 Check out my tweet! The next 10 Airbus A320s delivered to Virgin America Airlines will have a new passenger enhancement: Satellite-based Wi-Fi that the carrier says will deliver data speeds eight to 10 times faster than any other in-flight Wi-Fi systems. Virgin said it is partnering with ViaSat, Inc. — the same company that JetBlue is using for its next-generation Fly-Fi service. Virgin’s fleet is currently equipped with Gogo’s ground-based Wi-Fi service. While the new satellite technology will be installed on the next 10 new planes to be delivered, “the airline has not yet made a technology decision with respect to the rest of the fleet,” a spokesman told TravelSkills. That could prove troublesome for Virgin America regulars who hold annual or monthly Gogo passes and expect the service on every plane. In any case, the first of those new planes will start flying for Virgin in September of this year, and will offer free Internet service during a testing period. Virgin said it has not yet determined passenger pricing for the ViaSat links, which it noted will also make Wi-Fi available on over-water flights like the Hawaii service it will begin later this year. “With this new technology, Virgin America will become the first commercial airline to offer an in-flight Wi-Fi service that can operate in both Ku- and Ka-band satellite networks on the same aircraft,” the spokesman said. Ka-band technology provides greater digital bandwidth than the earlier Ku-band. 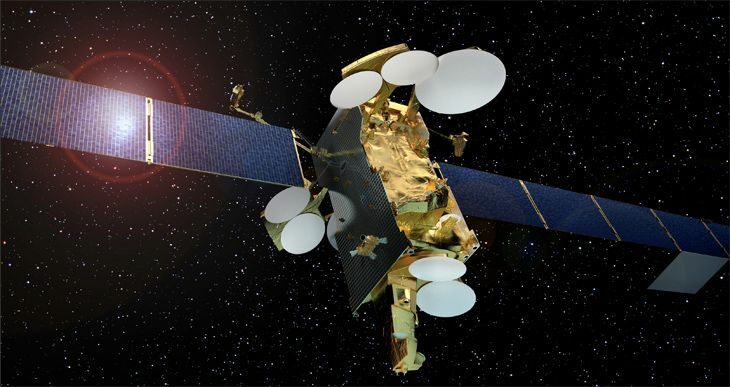 With the ViaSat service, Virgin said, passengers should achieve Internet speeds like those they can get at home, allowing for streaming video on their connected devices. The new satellite partnership news comes just a month after Virgin announced an improved version of its Red in-flight entertainment system, called Red Beta. That will bring new high-resolution seatback screens and a new Android-based platform to the airline’s fleet.